Dr. Donald Myren established his first office, Temecula Valley Chiropractic, over 25 years ago to provide the small but growing communities of Temecula and Murrieta with high quality, full-service chiropractic care. As Temecula has grown so has his practice, but Dr. Myren still maintains a personal approach to all his patients as he has since the very beginning. His office continues to support local youth and adult sports. Dr. Myren offers a multitude of state-of-the-art therapies and equipment including Cold Laser, Electronic Muscle Stimulation, Massage Therapists on staff, and Decompression Traction, in addition to Chiropractic. In his therapy department, patients can receive a wide variety of modalities from hot/cold packs to the latest in sports therapies of various, relaxing currents. Auto injury recovery, pain reduction, tissue healing, circulation improvement, and re-strengthening, can be achieved. Temecula Valley Chiropractic makes available a variety of chiropractic tables to best allow for chiropractic adjustments for a variety of patient sizes and conditions. The clinic is an approved workers compensation and veteran's administration facility. Dr. Myren has received his certification in Motor Vehicle Crash Forensic Risk Analysis from the CRASH 2006 International Whiplash Conference educating him in the latest methods of forensic risk analysis to better understand not only the effects of the forces and loads imposed upon patients' spines and brains during crashes, but also the various risk factors that can increase a person's chance for injury or long-term symptoms. For the latest treatment option for lower back disc problems and/or degenerative arthritis the DRX2 Spinal Decompression table with the Solaris Light Therapy are available. Using the decompression adjustment table is a gentle, safe, non-surgical chiropractic spinal traction that is the safe alternative to back surgery for those patients who suffer from back and leg pain. A favorite place of many of Dr. Myren's patients is the massage room. Licensed, experienced massage therapists are available during a variety of days and times specifically for his chiropractic patients. Dr. Myren accepts many forms of insurance. The friendly staff at Temecula Valley Chiropractic can often verify your insurance coverage via the internet through secure websites that are accessible only by authorized doctor's offices. 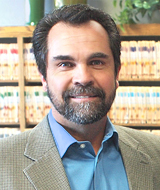 Whether you are a personal injury attorney looking for a chiropractor on lien or an individual patient seeking care, Dr. Myren and his staff welcomes your call and invites you to tour his office at www.TemeculaChiro.com. "My downtime is at a minimum and I feel great 99% of the time. I am a much happier person when I'm not in pain!" "Don't be intimidated or underestimate the overall sense of well being that is available through chiropractic care." "I have more and more good days. The staff has been very caring and genuine; I love them all so much for all they do." In Temecula take I-15 to Rancho California Road Exit toward Old Town Front St. Turn right at Rancho California Road. Take the first left onto Ynez Rd. and Temecula Chiropractic will be on the right.